Auto accidents death cases contribute to a high percentage of California’s annual wrongful deaths. There are a lot of factors, most of them avoidable, contributing to cases of car accidents resulting in death. Fortunately, California statutes provide surviving family members with the right to sue for compensation for wrongful death losses and car insurance death benefits. Get more details on this discussion below! I’m Ed Smith, a Sacramento Wrongful Death Lawyer. Every year, I meet clients who have just lost family members due to other people’s negligence. Frequently, these losses are caused by car accidents, defective products, workplace incidents caused by employer negligence, and various types of medical malpractice. As noted above, wrongful deaths occur due to many types of incidents. In addition to the causes already named above, they can also happen due to nursing home abuse (and neglect), intentional violence, defective medical devices, food poisoning, and faulty drugs. Car accidents keep causing a very high percentage of California’s annual wrongful deaths. Here’s a closer look at the number of deaths and traumatic injuries caused by California car accidents during 2014 – the most recent year of statistics available on the California Office of Traffic Safety website. During 2014, the following California counties suffered numerous car accident resulting in death and injuries. Many of these could have served as the basis of a wrongful death lawsuit. As these numbers indicate, the chances of losing your life in a car accident, which may give rise to a wrongful death action, remain very high. Upon viewing these numbers, many drivers and passengers want to review the specific driver errors often leading to many car accident injuries and fatalities in hopes of lowering their own chances of being seriously injured or killed. 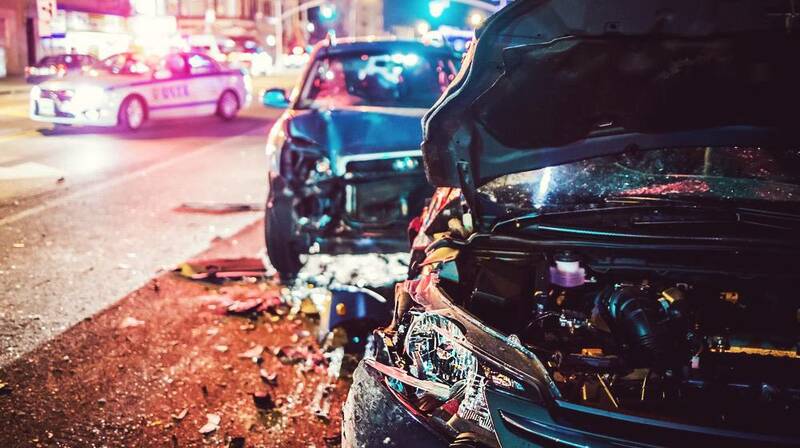 Here’s a quick review of the key factors present in many car collisions in California and elsewhere around the country. Inexperienced driver errors – often committed by teen drivers. Everyone can benefit from taking a reputable driver training course. I’m Ed Smith, and I'm a Sacramento wrongful death lawyer. If you’ve lost a loved one in a car accident caused by a negligent driver, my heart goes out to you. Please give me a call at 916.921.6400 for free, friendly advice. When you call, we will go over the details of your loss and see how to best proceed. I take Sacramento wrongful death cases on a contingency fee basis. This means you'll pay no upfront fees. I get paid after the successful outcome of your case. I am a California Million Dollar Forum member. Forum members are top-ranking US trial lawyers who garnered settlements or verdicts worth over $1 Million US Dollars. See my client reviews: Yelp, Google, and Avvo. Visit my personal injury and wrongful death website: www.autoaccident.com. I’ve been practicing in wrongful death and personal injury law for more than 35 years. In case of auto accidents death, it's important to act quickly because entities or people might act quickly to cover up, minimize, or in other ways, try to escape responsibility for the death. It's important to take action as soon as possible to find an experienced wrongful death car accident lawyer you feel comfortable with. Are there other helpful information regarding auto accidents death you'd like to share? Write your ideas in the comments section below.